Bangkok has been synonymous to shopping, food tripping, temples and the wild night parties – especially at the infamous Khao San Road. Most often than not, parents would leave their kids at home when visiting Bangkok because of fear they will get bored as opposed to traveling to Hong Kong and Tokyo, where the worlds of Disneyland abounds. Latest travel trends suggests Bangkok is becoming a popular family themed destination, with the advent of attractions catering to the amusement and education of young kids. 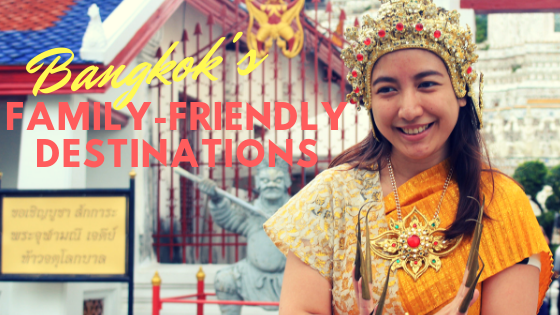 In the city that almost never sleeps, the many reasons to visit Bangkok just got longer and more family-friendlier. To help you plot your next family holiday, here are some family-friendly destinations in Bangkok. The renowned Madame Tussauds Wax Museum finds a new home in Bangkok, where it gives visitors a chance to mingle with historic figures composed of film and music stars, global leaders, arts and science pioneers, sporting idols and more. This is a fantastic place for kids to learn additional bits of history and familiarize themselves on the important contributions of some of the world’s most revered personalities. The social messaging app LINE is a popular tool among young people in Thailand. Thanks to its roster of loveable characters that makes chatting more fun. 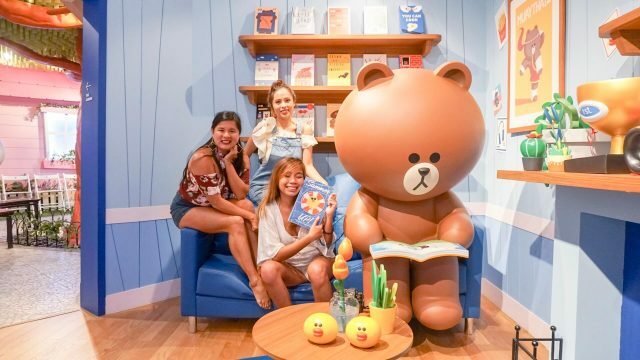 LINE Village store brings these amazing figures to life in this Instagrammable indoor attractions boasting of 23 imaginative themed rooms, which comes complete with stunning set designs and interactive games. This is a place every family shall enjoy taking pictures together. Likened to our own Nayong Filipino but more ostentatious occupying more than 200 acres, it is here where magnificent reconstructions of various landmarks all over Thailand can be seen. Replicas of famous temples and palaces are built inside and provides a wonderful place for the kids to learn more about what the country of Thailand can offer – in terms of history and culture. This European themed park littered with concept restaurants and shops provides the best place to cap off a busy day of touring Bangkok. The young adults and little kids will surely enjoy frolicking around the well landscaped and colorful setting of Chocolate Ville. Great food – check. Instagram friendly – check. 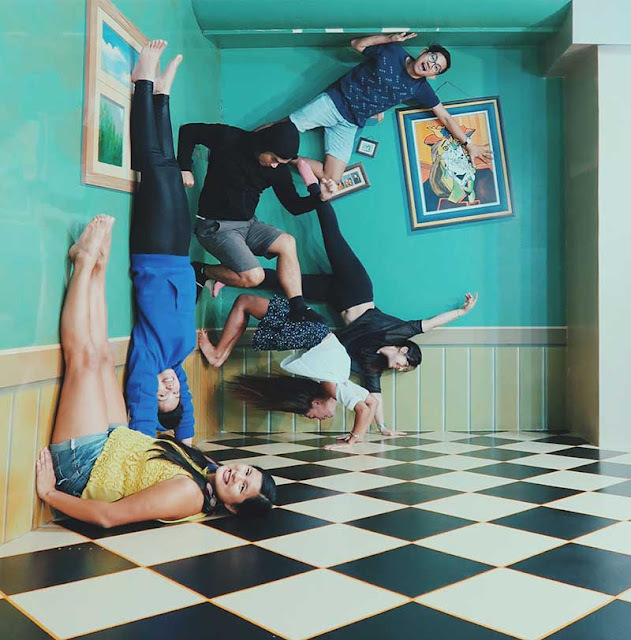 An interactive set of illusion paintings depicting the great outdoors, fantasy world, underwater sanctuary, modern cities and even modern and classical art, provides visitors a fun opportunity to be creative in blending in with these 3D artworks. This is a perfect place for the whole family to have fun and be imaginative. Dining together as a family is always a good way to end a night of traveling. But not after getting lost in a flood of food stalls selling some of the most salivating and sumptuous street foods of Thailand. A gastronomical adventure certainly awaits each family member in this vibrant night market where one can also buy interesting souvenir items. Expose the kids to the spiritual and historical wealth of Thailand by taking them to this exceptional museum highlighted by a giant bronze statue of an elephant. Inside, an elegant interior starred by a spiral staircase takes you to the impressive artifacts collection of Mr. Lek Veriyapant. Several elements of Buddhist philosophy detailing spiritual awakening and ascension comprises most of the exhibited relics. 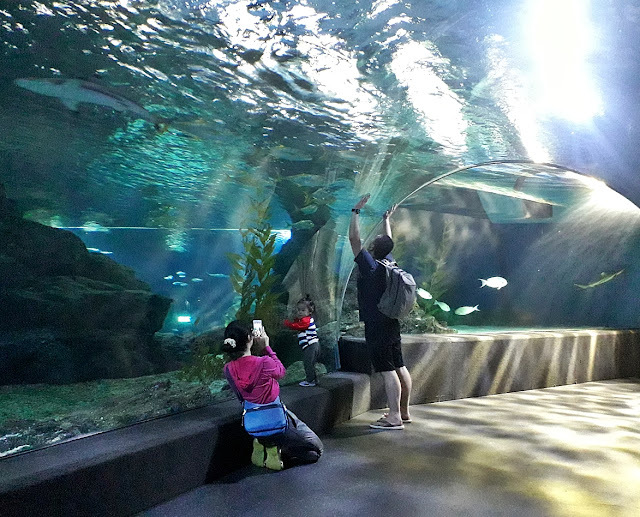 The largest of its kind in Southeast Asia, Sea Life Bangkok houses more than 30,000 aquatic creatures spanning more than 400 species inside state of the art water tanks casing over 5,000,000 liters of sea water. Sea Life Bangkok aims to promote educational awareness about the aquatic environment and contribute to various marine conservation programs. This is a great place to introduce the younger ones to the wonderful world of sea creatures. Take a ferry for a short scenic cruise to this 17th century Buddhist temple situated on the western banks of Chao Phraya River. Wat Arun was named after the Hindu god Aruna, who embodies the sheen of the rising sun. It is highlighted by colorful porcelain designed with various patterns and depiction of ancient warriors and animals. Photo credits: Line Village Store from Karlaroundtheworld, 3D Art in Paradise from Kenneth Surat and Erawan Museum from Yogo and Cream.